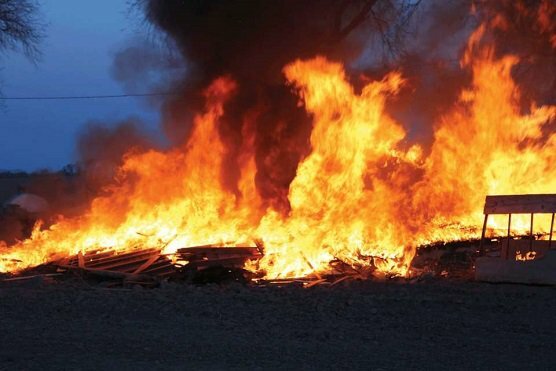 There has been a fire outbreak after an explosion in a building in Babs Animashaun, Census Market in Surulere, Lagos. The fire service are currently at the scene putting out the fire. There is no report of any casualty yet.